Life is a journey. “The journey was more important than the destination.” Sometimes we are so focused on where we are going and what the future holds, that we forget to enjoy the present. The novel shows how the past can shape us for good or bad. We need to learn from the lessons of the past and then move on into the future. Characters are moulded by their childhood. They believe words spoken over their lives. Sometimes these words are damaging and influence how they live the rest of their lives. “You never knew how much another person was hurting.” Their past can affect their present actions. Within the story there are some wonderful scenes where the dialogue just bounces between the characters. The healthy competition between the two leading characters really holds the reader’s attention throughout. As with book one, Aunt B is a wonderful character. She is not your typical Amish lady with her colourful hair, tattoos and earrings. Her bark seems ferocious but underneath there beats a heart of gold. The novel revolves around food. “We fed him once and he kept coming back, no matter how hard I prayed.” The one liners from Aunt B are priceless. “Boys are like stray cats. You feed them once and they keep coming around.” There are some very yummy sounding recipes included in the back of both books in the series so far. 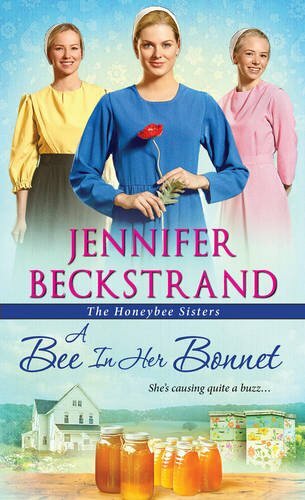 I am really enjoying this Honeybee Sisters series. It is very humorous with wonderful characters who just take up residence in my heart. There is also a mystery to be solved. It began in book one, continued into book two and I am expecting that all will be revealed in book three! Such a delightful series. I am eagerly devouring it and can highly recommend it. It is on to book three and the climax for me now.